?-Not the result the Heat were looking for tonight. Despite all the confidence gained from wins against Golden State, Houston, and Atlanta, it's losses against the sub .500 teams that sting the most. -The Heat were up 89-84 with a little over 4 and 1/2 minutes to go in the fourth. Then Dallas, led by Steph Curry's younger brother Seth Curry, scored 12 unanswered points to pull away. -There was way too much hero ball going on late in the game. That's not the way this team was built to play. 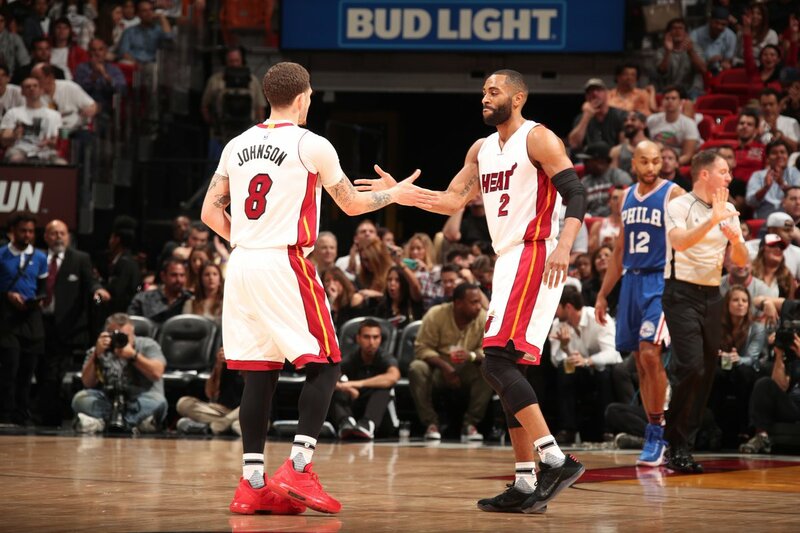 -The Heat's 16th straight 100 point ended tonight as well. The last time they failed to crack it? Against these same Dallas Mavericks. It's no coincidence because this team really gets after it defensively. -Goran Dragic played well tonight. Along with Hassan Whiteside who had another double double. -Dion Waiters and James Johnson weren't at their best tonight. Waiters started off well but cooled off after the first quarter. -Whiteside started the game with a lot of energy tonight. He put up 9 points and 6 rebounds in the first quarter. He also had three big dunks in the first quarter. 1st half dunkfest so far for ! ???? -The Heat, without much resistance from the Mavericks in the paint, scored 31 points on 65 percent shooting in the first quarter. -After being down 14, the Mavs came back. The Mavs threw the Heat off by going with the zone defense. And they took a one point lead going into the half. -Josh Richardson? Still looking to get his timing back after missing 19 straight games. -With Willie Reed out, the Heat went with Okaro White as the backup center defending Nerlens Noel and Dirk Nowitzki. Udonis Haslem didn't play in this one. -Without Reed, the Heat struggled to protect the paint and rebound. Reed normally buys time for the Heat whenever Whiteside is on the bench. -Depending on how long Reed stays out, the Heat may have to sign another big man. Probably after they're able to waive Chris Bosh and clear a roster spot. Options on the free agent market include Terrence Jones and Larry Sanders. -With Milwaukee losing tonight in Cleveland, the Heat still stay in 9th place due to percentage points. However, they're now 1 1/2 games back of the 8th place Detriot Pistons. -The next two games against the 76ers and Magic should be treated as must wins. Especially with three games apiece remaining against Cleveland and Toronto, and two against the Washington Wizards who have been playing well.